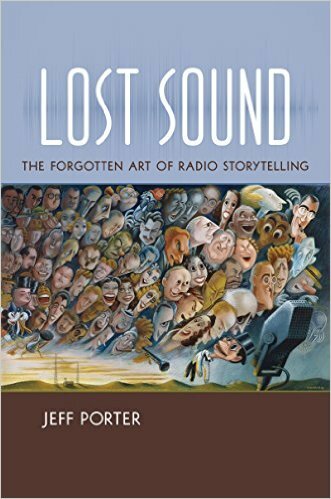 Lost Sound: The Forgotten Art of Radio Storytelling | Free eBooks Download - EBOOKEE! Posted on 2018-07-13, by kashani90. From Archibald MacLeish to David Sedaris, radio storytelling has long borrowed from the world of literature, yet the narrative radio work of well-known writers and others is a story that has not been told before. And when the literary aspects of specific programs such as The War of the Worlds or Sorry, Wrong Number were considered, scrutiny was superficial. In Lost Sound, Jeff Porter examines the vital interplay between acoustic techniques and modernist practices in the growth of radio. Concentrating on the 1930s through the 1970s, but also speaking to the rising popularity of today's narrative broadcasts such as This American Life, Radiolab, Serial, and The Organicist, Porter's close readings of key radio programs show how writers adapted literary techniques to an acoustic medium with great effect. Addressing avant-garde sound poetry and experimental literature on the air, alongside industry policy and network economics, Porter identifies the ways radio challenged the conventional distinctions between highbrow and lowbrow cultural content to produce a dynamic popular culture. No comments for "Lost Sound: The Forgotten Art of Radio Storytelling".